Plans have now been approved in Phoenix for the construction of a multi-tower project that is expected to cost around $231 million to build. The 1.1 million square-foot project will go up at the site of the current Public Transit Phoenix Central Station transit center at 300 N. Central Avenue in downtown Phoenix. Its most distinctive visual elements will be a 30-story tower on the southeast portion of the site, and another 18-story tower to the site’s western side. As earlier announced, the project will include three hundred residential units, along with retail space, a grocery store, several restaurants, and a hotel. Additional amenities will see the development of open spaces adjacent to the towers, shade structures, water features, and entertainment space. The developer, Medistar Corporation of Houston, has also announced that the project will include 15 affordable income units. Medistar specializes in both multi-family residential communities as well as health care facilities. Last summer the company completed work on the Latitude Med Center in Houston, a project with a 35-story apartment tower and 372 residential units. 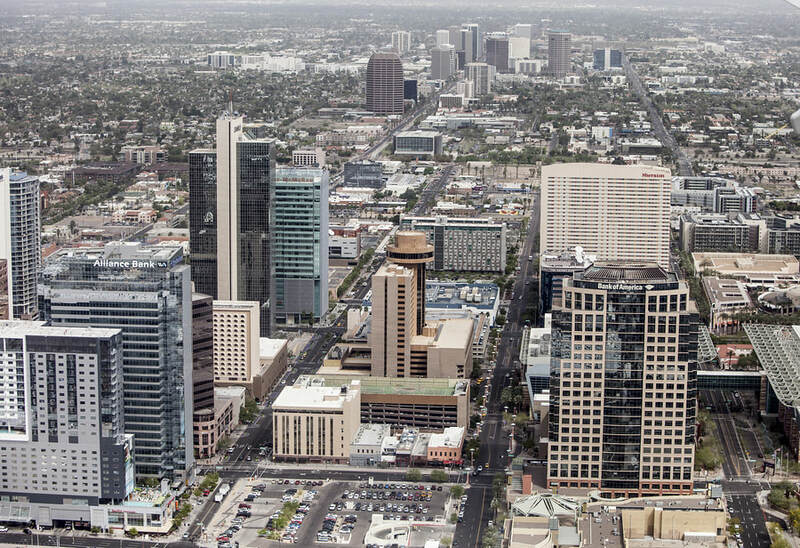 Members of the Phoenix City Council have agreed to a 99-year lease with Medistar, with an annual rent for a site that is owned by the city set at around $614,000 a year. Farmers and property owners in rural New Mexico may have an easier time obtaining federal funding for upcoming maintenance and conservation projects. 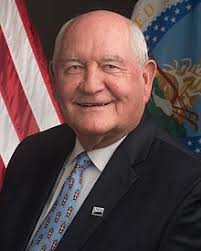 Secretary of Agriculture Sonny Purdue, appearing before the U.S. Senate Appropriations Subcommittee on Agriculture, has said that he will direct his agency to gather local input information as a prerequisite for that funding. That input would likely come through public comment periods, meetings, and listening sessions. Specifically, the funding would go to land grant communities and irrigation systems established more than 200 years ago when New Mexico was a Spanish colony. As advocated by New Mexico Senators Tom Udall and Martin Heinrich, a provision of last year’s sweeping Farm Bill makes those communities and irrigation systems eligible for funding through the Environmental Quality Incentives Program. In his testimony, Purdue noted that the latest Department of Agriculture budget includes increased funding for public-private partnerships to build rural broadband infrastructure, affordable housing, and health service facilities. That budget additionally includes $5.5 billion in rural electric improvement loans as well as $1.7 billion for the upgrading of rural water and wastewater facilities. Members of the Bernalillo County Commission have given their approval to the demolition of what used to be the Regional Correctional Center in downtown Albuquerque. What to do with the 150,000 square foot structure at 415 Roma Avenue NW, which last held inmates around 8 years ago housed by the private Cornell Corrections company, has long challenged county officials. Previous proposals have suggested it could be used once again as a detention facility, or extensively renovated and transformed into office space. 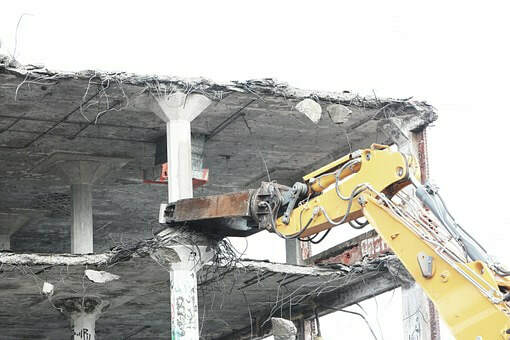 Because of its heavy use, the building through the years has ended up with a number of structural and systems issues. A study commissioned by the county in 2013 said it would cost around $26 million to adequately upgrade the structure. But a more recent analysis added another $10 million to that figure. In response, the commission has decided that it would be more cost-effective all the way around to level the structure, voting to approve a $2.5 million appropriation for its demolition. That move will also save the county the roughly $84,000 it has been spending annually for keeping lights on in the building and paying for its insurance. Immediate plans for what will replace the structure will mostly like see the site used for parking. Located between the Albuquerque Police Department and the Second Judicial District Court for Bernalillo County, the site could also see the eventual construction of a new government office building. A new library, first proposed more than 20 years ago that will be part of the Boulder Public Library system, is at long last slated for construction on the north side of the city. The new location will help accommodate a Boulder population that has jumped from around 95,000 in 2000 to more than 108,000 today. The city’s library system currently has five libraries located in various parts of Boulder. Planned for a nearly 3-acre site at 4540 Broadway Street, the two-story building will measure 12,800 square feet and house office space, reading areas, and meeting rooms. The rectangular-shaped building will also include a lobby, children’s area, private workspace, and seating area. An emphasis on exterior amenities will see the building of a plaza, playground, and community garden. The project, designed by the New York-based Work Architectural Company, has been the subject of several public input meetings and is the centerpiece of the library system’s 2018 master plan. Design phase for the building is expected to continue through to the rest of the year, with construction beginning in early 2020. The Boulder Public Library’s first branch, today called the Carnegie Library for Local History at 1125 Pine Street, was designed to resemble a Greek temple and built in 1906 with funding from industrialist Andrew Carnegie. Four Western states, including Arizona, are ranked as the top ten states in the nation for economic growth, according to an Arlington, Virginia-based think tank. The other states are Utah, Idaho, and Nevada. 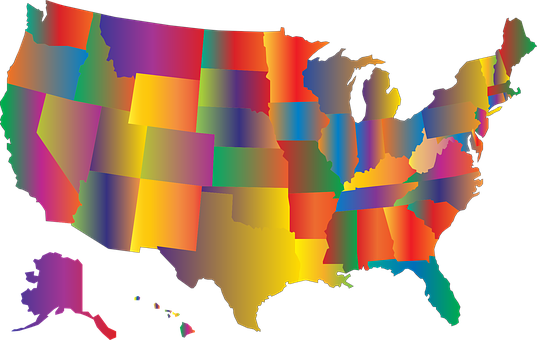 The bottom ten states, says the Rich States, Poor States 2019 report issued by the American Legislative Exchange Council, are primarily made up of states along the East coast, as well as Oregon, Hawaii, California, and Illinois. Colorado was positioned at 15 on the list, with New Mexico holding the 35th slot. The rankings are fueled to a great degree by migration patterns, with the report noting that in the last decade New York has experienced a drain of more than 1.3 million residents, while California is down by nearly 800,000 residents, and Illinois has seen a population decline of around 783,000 people. The report pinpoints the largest reason for the Southern and Western migration, besides more appealing weather, as lower business and personal income tax rates. Of the growing Western states, says the report, Arizona has seen 372,000 new residents between 2007 and 2016; while Colorado has charted over 371,500 new residents. New Mexico, using the years 2006 to 2015, saw a more than 33,000 domestic migration decline. Construction could begin later this year on one of two new auto dealership facilities in southwest Santa Fe. Both the new Fiesta Hyundai and Fiesta Nissan dealership structures will be going up on a nearly 12-acre site at the corner of Cerrillos and Governor Miles roads. Members of the Santa Fe Planning Commission have now approved the development plan for the project. Designed by the Santa Fe-based architectural firm of Lloyd & Associates, the project will see the construction of a nearly 24,000 square feet structure that will house the Fiesta Nissan dealership, as well as the building of an 18,695 square feet structure for Fiesta Hyundai. According to county documents, both of the dealership structures will house automotive service areas as well as sales and office space. The sales and office space for the Fiesta Nissan building will be to the front of the structure, framed by tall exterior glass walls. The Fiesta Nissan building’s design will also be of light and grey aluminum composite metal, with dark grey stucco to the rear and sides of the structure. The Fiesta Hyundai building will be fronted by a bronze-colored aluminum composite metal topping glass exterior panels. Project owner is the Fiesta Auto Group of Albuquerque, which owns and operates new and used dealerships in both the Duke City and Santa Fe. After opening the new location, both dealerships will be moving from their current St. Michael’s Drive locations. If all goes as planned, work should be completed on the Fiesta Nissan structure either later this year or early next year, with work beginning on the Fiesta Hyundai building sometime next spring. That land will be used for the full build-out of the computer giant’s planned five-building technology center. Late last summer the Redmond, Washington-based company, founded by Bill Gates, purchased nearly 260 acres of land near the Phoenix Goodyear Airport for $48 million. In February, members of the Goodyear City Council gave their unanimous backing to a development agreement allowing the computer giant to begin construction on the first phase of the project as soon as possible. Speculation regarding the project has been rampant: “The question is, what is Microsoft planning?” Forbes magazine asked last fall. “No renderings or other details have been made publicly available,” the Phoenix Business Journal noted in late December. That first phase, which could begin this summer, would see the building of two structures, located towards the southern end of the site between Broadway Road and Buckeye Road. The Goodyear City Council has also given a green light to a re-zoning proposal allowing Microsoft to increase the density of its planned buildings at the site. Those buildings, by council agreement, could be as high as 60 feet in height. More than 2,000 individual proposals related to power and energy challenges were filed last year in the nation’s state legislatures. So says a new report issued by the Denver-based National Conference of State Legislatures, which says that of those 2,000 proposals, more than four hundred ended up as laws. “Interest in cybersecurity for the energy sector is growing as state legislatures consider ways to enhance critical infrastructure defenses,” says the report 2018 Energy Trends Across State Legislatures. “Many states are exploring broad grid modernization initiatives to address the United States’ aging and outdated electricity network, while also harnessing new and innovative technologies—from smart thermostats and electric vehicles to rooftop solar panels and energy storage,” the report continues. In fact, renewable energy and energy efficiency-related bills last year dominated energy policy at the state level with nearly 1,000 bills introduced in state legislatures across the country. 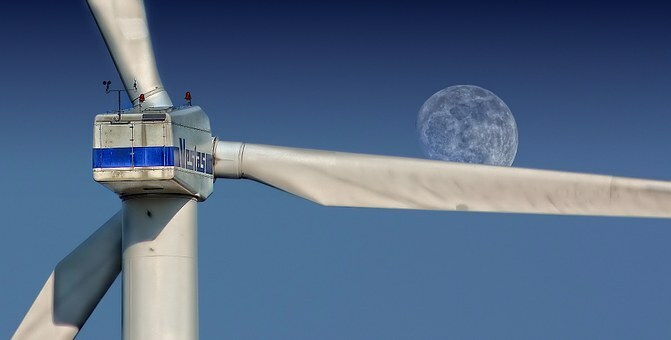 States in the West have been particularly active in embracing new energy approaches, with Arizona and Colorado embracing renewable portfolio standards, while the Centennial State also passed energy storage legislation and net metering authorization. New Mexico introduced energy storage legislation, while implementing renewable portfolio standards, and net metering policies. In a bid to restart its commercial airline services, the Four Corners Regional Airport is considering a plan that would see just over $23 million spent on facility upgrades between now and 2024. Those upgrades would include a relocation of an existing taxiway, the installation of an engineered material arresting system, and general runway improvements. As previously explained by airport officials, the taxiway would be moved some 15 feet in order to make way for larger planes. The airport suspended commercial operations in the fall of 2017 after Great Lakes Airlines announced it was no longer serving the Farmington area. Since then airport officials have wanted to re-ignite its traditional airline service, a service going back to the late 1940s. As part of that effort, the City of Farmington, which owns the airport, has announced that it is pushing for an expanded Federal Aviation Administration-approved classification allowing for larger planes to utilize the facility. The $23 million in planned airport upgrades follows on the heels of the $3.2 million building of three new taxiways last spring, a project that was mostly funded by the FAA. Located a mile northwest of Farmington, the Four Corners Regional Airport has in the past seen as many as 80,000 passengers using commercial flights on an annual basis. One or two new elementary schools could be going up in Steamboat Springs, Colorado in response to double-digit enrollment growth within that city’s school district. Officials with the Steamboat Springs School District say they have seen the number of students in the district increase by some 24 percent in the last decade, for a current total of just over 2,600. It has been projected that that number will jump to more than 3,000 in the next decade or so. In February, a district advisory committee said the need for a new school facility, or perhaps even two, could have a price tag of anywhere from $50 million to $120 million. 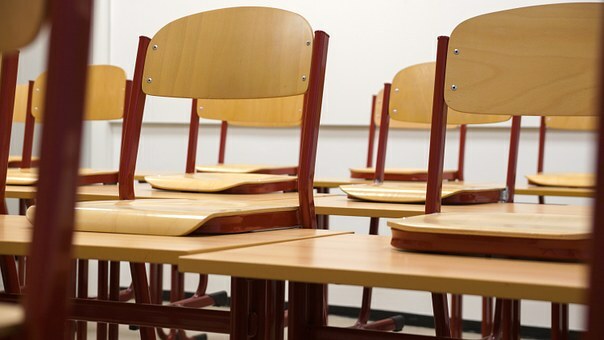 That same committee also estimated that it would cost up to $147 million to pay for upgrades and renovations to the district’s existing schools to accommodate the enrollment growth. Where exactly any new school will be built has not yet been determined, although members of the Steamboat Springs School Board last November moved to purchase nearly 36 acres on the west side of the city. The district already owns more than 30 acres in the same area. Board members have said that they want to move cautiously in the direction of any new school construction, noting that in 2015 Steamboat Springs voters, by a nearly 80 percent to 20 percent margin, turned down a $92 million bond to build a build a new high school. Whether the school board votes in favor of building one or two schools, as well as renovating existing structures, the work will have to be funded by a bond that would go before voters in November. Known primarily as a winter ski resort destination, Steamboat Springs has seen its population more than double since the late 1990s, according to the U.S. Census, to an estimated 12,700 today.